Who remembers Junebug? Several years ago we received a call from law enforcement asking us if we could take this horse. She was emaciated and had both old and new injuries. You can still see where she must have been hit so hard her ribs were broken. We named this sweet mare Junebug. Despite all the hardships she had endured this mare remained gentle and loving. Eventually she gained the weight but her story wasn’t over till her very special person found her and adopted her. Just look at the love between these two. 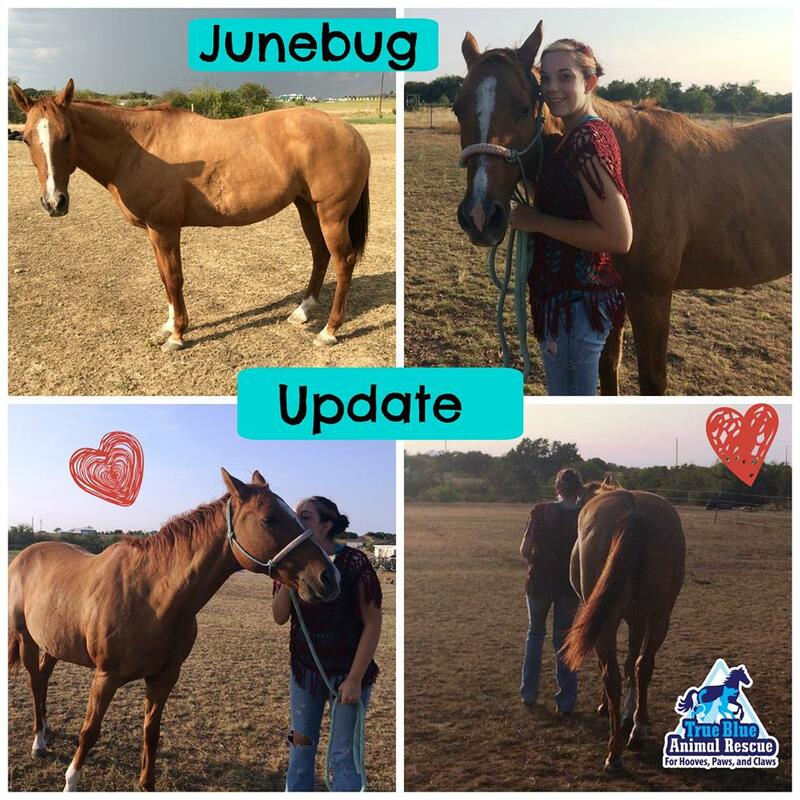 Posted in Horse Success Stories and tagged animal rescue, Happy Tails, Horse, horses, Success Stories, TBAR, Texas, True Blue Animal Rescue.